Condensation is the most common way that properties become damp internally and this is never more evident than during ‘condensation season’, which runs from September until April. This is the time when the weather is cold and wet and people turn up their heating, a major factor in managing condensation as warmer air can hold more water vapour than cooler air. It is also a time when drying laundry indoors on rainy days; both tumble drying clothes and airing them on radiators adds a great amount of water vapour to the surrounding warm air, water which then condenses into liquid again upon contact with cool surfaces such as windows or walls. In the case of contact with windows, the water will drain down and collect on sills and the wall beneath, rotting timber sills and and causing them to weaken. When soaking into walls, the very structure of the building becomes compromised and conditions are set for the growth of black mould; a health hazzard associated with asthma, bronchitis and other respiratory conditions, as well as allergies. If you are wondering how to stop condensation in the home; rest assurred there are practical ways of doing it. Ventilation is a key factor and PermaFix is adept at supplying positive preesure fans and heat recovery units that force humid moist air out of the home and replace it with warmed dry and fresh air. We are expert in fitting the Nuaire Drimaster, Flatmaster and Twistfix heat exchange ventilation in houses and flats across Hampshire, from Southampton to Portsmouth at highly competitive rates. Vent tumble driers to the outside. Do not use of bottled liquid-gas or paraffin heaters. Do not hang washing on radiators. 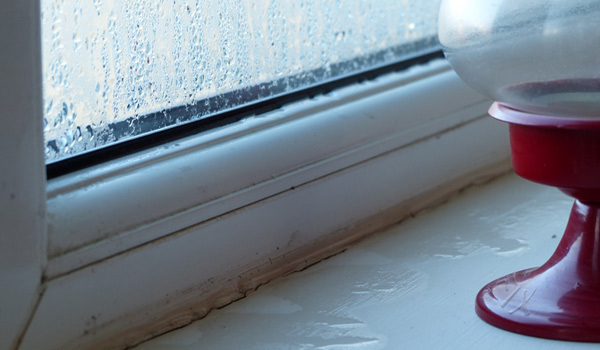 During condensation season, many homeowners begin to notice problems being caused by damp, either from condensation, external factors or a combination of both. So if you are looking for a company that knows how to stop condensation then give us a call; PermaFix are a company that specialses in the control of damp to protect against the myriad of problems caused during this time of year. We also provide professional-quality solutions for basement waterproofing, crack stitching and cavity tie replacement in Southampton and Portsmouth and along the whole Hampshire coastline.